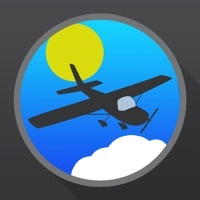 PUT YOUR SAFETY FIRST Takeoff is the only aviation weather app to understand that you want to fly safe, in weather that YOU feel comfortable with. 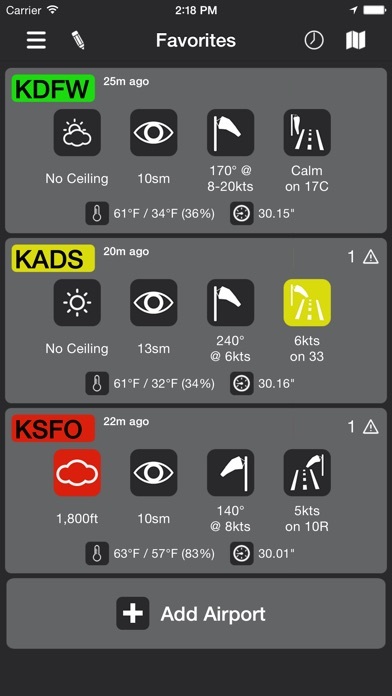 Takeoff gives easy-to-see, color-coded warnings and information based on your own personal minimums; Takeoff understands what the sky looks like to you, not to some computer. Combining accurate and reliable data from official sources, Takeoff is a trusted tool used by pilots the world over. Takeoff makes it easy to find the airport you need: • Find airports near your current location using GPS • Find airports along a route • Find airports in a region • Save a list of your favorite airports for quick access With list and map-based views of the weather, Takeoff gives you a high level view in any region instantly. TAKEOFF KEEPS YOU SAFE 75% of fatal weather-related accidents start with pilots voluntarily flying into poor weather. 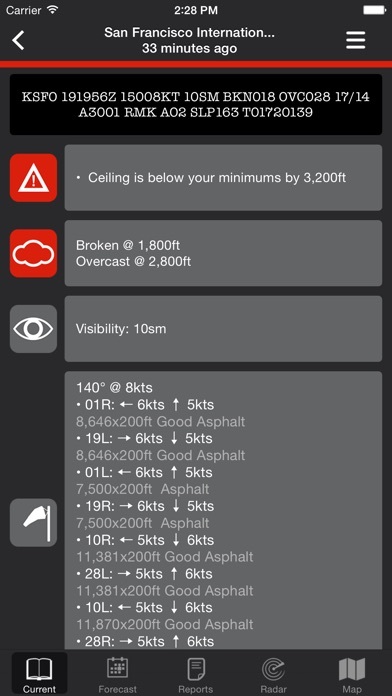 Takeoff helps you to easily and reliably understand if the weather is right for YOU. 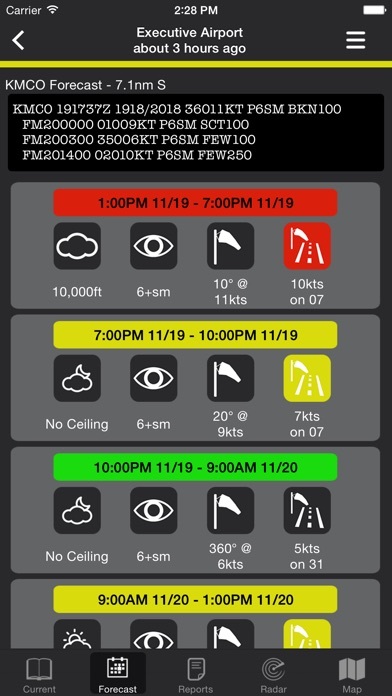 Get personalized warnings based on cloud ceilings, visibility, total winds, runway crosswinds temperatures, dew point spread, density altitude, and more! By providing clear warnings based on your personal minimums, Takeoff helps you stay disciplined and keeps you from becoming a statistic. 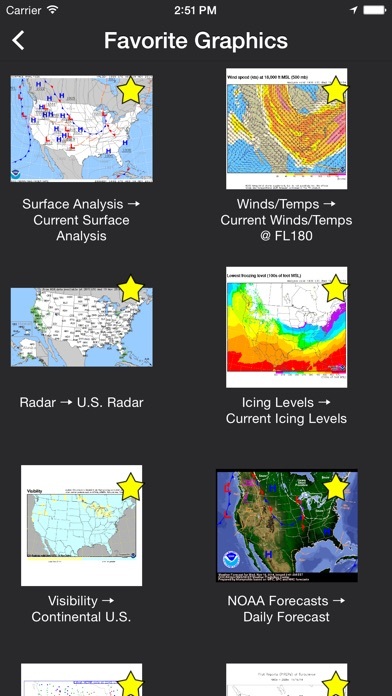 INTUITIVE DESIGN Find what you want without hassle: • Personalized METAR reports, with full wind components and preferred runway • Color-coded TAF display • NOTAMs for airports around the globe • METAR History • Winds Aloft, AIRMETs, SIGMETs and PIREPs (U.S. Only) • Hundreds of global weather graphics, including Animated Radar • AF/D Page (U.S. Only) • Metric and Imperial unit support • Support for 3D Touch for iPhone 6s and 6s Plus: Peek and pop through reports and weather graphics, and use home screen shortcuts to quickly view the forecasts you want TAKEOFF SAVES YOU TIME Takeoff calculates crosswinds for every runway and gives personalized warnings based on limits dictated by YOU. 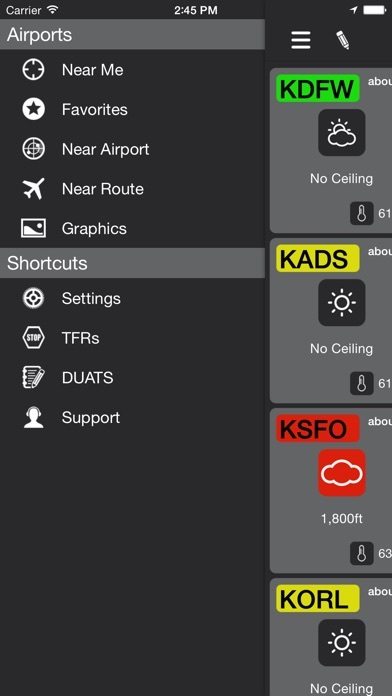 Takeoff even provides shortcuts to common websites to allow you to quickly file flight plans and look up TFRs. IDEAL FOR THE COCKPIT Takeoff keeps the most recent reports ready and available on your device, so that you always have the information you need, even when you’re offline! TRUSTED BY PILOTS. DEVELOPED BY PILOTS. Takeoff was developed by pilots like you, who understand what information you need to fly safely. Other pilots agree: "I love the presentation of information on the screen. The colors are great and the interpretations are pretty much idiot proof." -Adam Zucker, Pilot "First thing I thought was WOW! I love how quick it is to get the information quickly into my brain. Love the maps and other weather graphics. Love the TAF decoder." -Andrew Ohnstad, Pilot Takeoff relies on NOAA METAR and TAF reports. Airports must report METAR/TAF information in order for Takeoff to provide reports. Takeoff is not a substitute for official flight planning and weather information, and by using Takeoff, you agree not to hold the developers liable for any inaccuracies or misrepresentations.